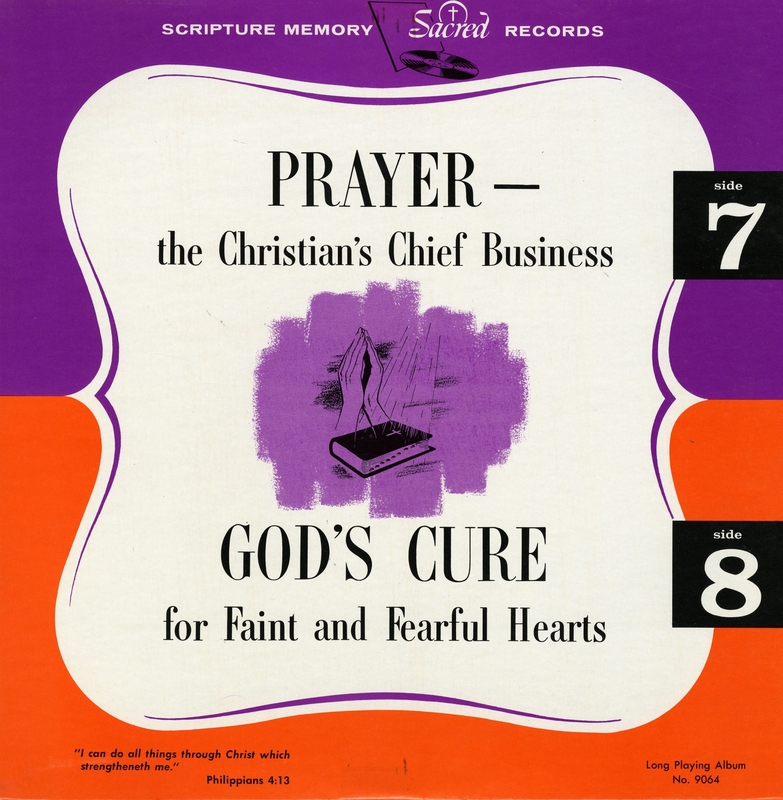 In what amounts to mnemonic therapy, the brain is strengthened and the will is chastened in Prayer—The Christian’s Chief Business (Sacred Records). Sacred Records was started by Earle E. Williams in 1944. He was the host of Sunday Sing (originally Highway to Heaven) on KCOP in Los Angeles, which premiered in October of 1956. Williams was fond of the stentorian voice-over and it is readily apparent in this selection. We need to know that our praying is well done. We need to know why and how we should pray. We must know the conditions of prayer which God has given in his word, the Bible. So we turn now to the script cards . . . you will need to have your purple pencil. 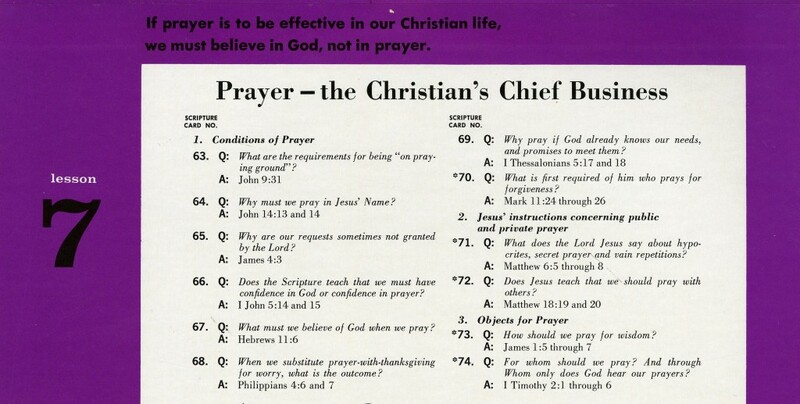 From start to finish, the narrator guides you through the necessary conditions of prayer and repeatedly assesses your learning outcome. Attention is incited for 20:57. And the stakes are high but never explicitly confirmed. For if you cannot recall, “promptly and accurately,” the conditions of prayerful propriety, well, then, you need to listen again. And again. And again. Take out your purple pencil. 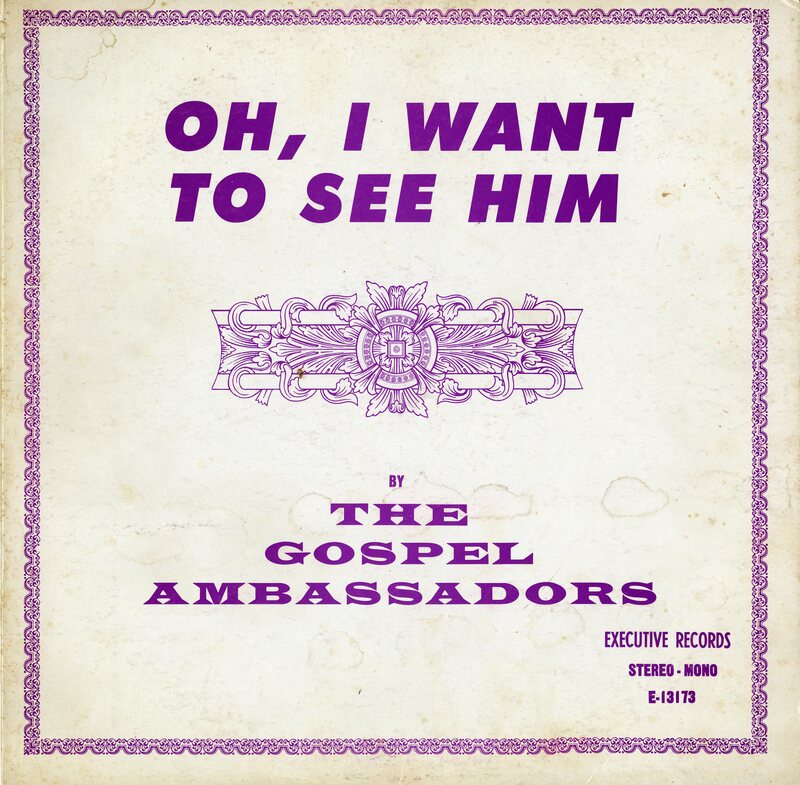 In this cover version of Norman Greenbaum’s 1969 original, salvation becomes a social occasion, perhaps even a bureaucratic process. 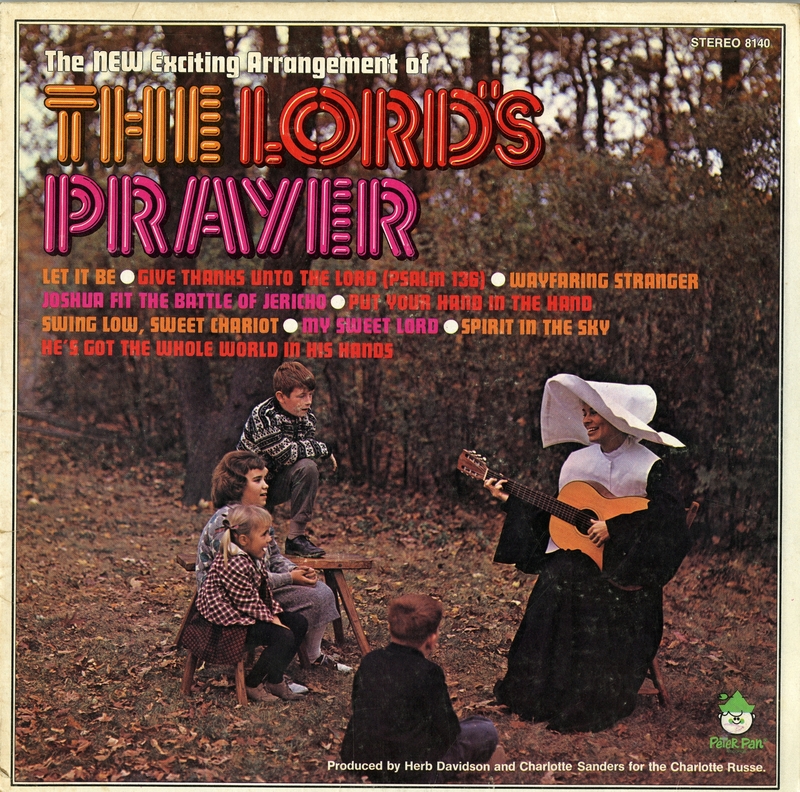 “Spirit in the Sky” is performed, here, by the hastily assembled Sisters and Brothers, who sing it as part of a “rock mass”—a concept made popular by the Australian nun Sister Janet Mead, in the early 1970s. Borrowing much from Mead’s production, the Sisters and Brothers offer a simple lesson to the children of the children of the Age of Aquarius. You must have a friend in Jesus. You must cultivate that friendship. You must secure his trust. If done properly, when you die Jesus will recommend you to the spirit in the sky. One enters heaven through the logic of the network. Jesus cannot guarantee. He can only recommend. The buck does not stop. Pray accordingly. Written and composed by Bill Gaither, “He Touched Me” is a standard in the repertoire of contemporary evangelicalism. In it, Gaither distilled a theology of overwhelming presence that definitely answers the question of salvific agency. He touches you. Your docility generates both knowledge and ontic wholeness. Case (and self) closed. Prayer may be an act of gratitude after the fact. It may be a weapon, a request to heal the body or boost the brain, an epistemic cry, a meditation, a mediation, a quip, a plea, a means of passive resistance, a wonderful gift from God. Or any manner of combination. Whatever prayer is or has been, it often seems to be bound up in the play of transgression and transcendence. Within the move across, there are the moves against and the moves beyond. Against and beyond simultaneously, continuously, even as a prayer is conceived and uttered, even after it is ignored or answered. A will to negation is, of course, necessary for transcendence. And transcendence must be in the offing for this will to become manifest. In the living act of prayer, there is no beginning and there is no end. Prayer is precisely that activity which, in theory, denies the localization and stillness demanded by means of human measurement. Yet, in practice, this denial is offered under circumstances that have been utterly humanized and subject to social forms, grammars, and algorithms of immanent origin. The praying hands of humans, in other words, pray to no man, which is strange indeed in a world in which modeling the human is the key for knowing the human and much else besides.